Daveswordsofwisdom.com: Spend Time With Parents This Christmas. Spend Time With Parents This Christmas. Spend time with your parents this Christmas and always remember to treat them well. 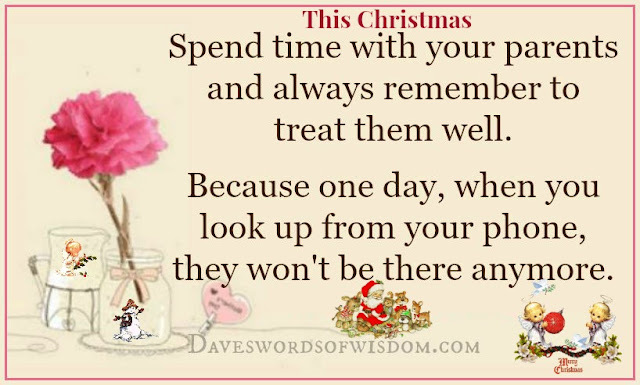 Because one day, when you look up from your phone, they won't be there anymore.